The government will be providing cash to help colleges to implement area review recommendations – but has made it clear that no more money will be made available once these are completed. Information about the restructuring facility – exclusively revealed by FE Week two weeks ago – was included in updated guidance on area reviews, published on Tuesday by the Department for Business, Innovation and Skills. The updated guidance is almost twice as long as the previous version and includes a number of lessons learned from the first area reviews. Cash from the fund “is being made available to reflect the one off nature of the restructuring of the sector, through area reviews, to achieve long-term sustainability”. “A key objective of the reviews is that they result in resilient institutions in each area, and therefore no further Exceptional Financial Support will be available for colleges following the implementation of review recommendations in the relevant area,” the guidance continues. As previously reported in FE Week, the “default position” of the facility, which is being held by the Treasury, is that “it will be provided as a loan on commercial terms” and it will “cover only a proportion of the total costs”. In exceptional cases, the guidance states, cash may be available as a non-repayable grant. Skills Minister Nick Boles is understood to have said during an event for the Association of Colleges (AoC) on Wednesday that grants of between £50,000 and £100,000 would be available from the facility. A spokesperson for BIS has confirmed that the grants will be either £50,000 or £100,000 “depending on circumstances”. More detail will be published shortly, the spokesperson added. The updated guidance was welcomed by Martin Doel, AoC chief executive, who said it was more comprehensive. 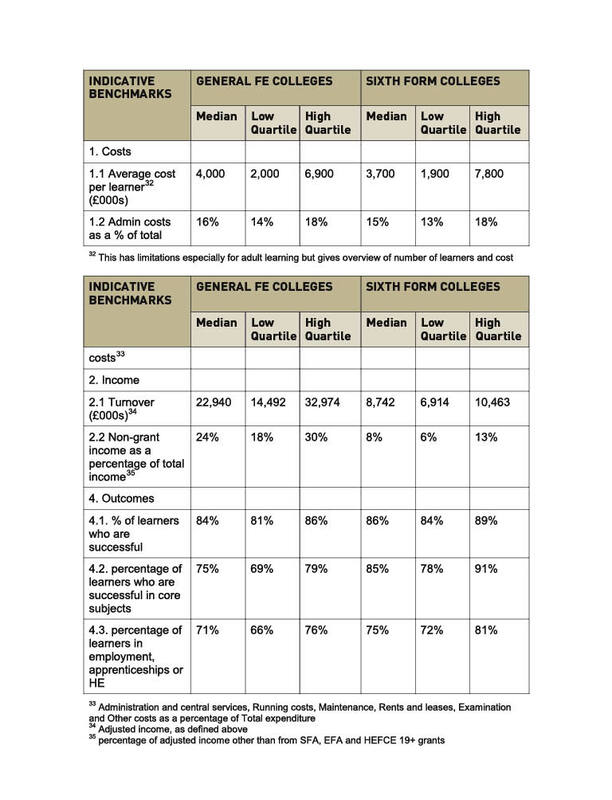 “It would have been useful to have the guidance at the start of wave one, but now it has been published it can be used by colleges going forward,” he added. 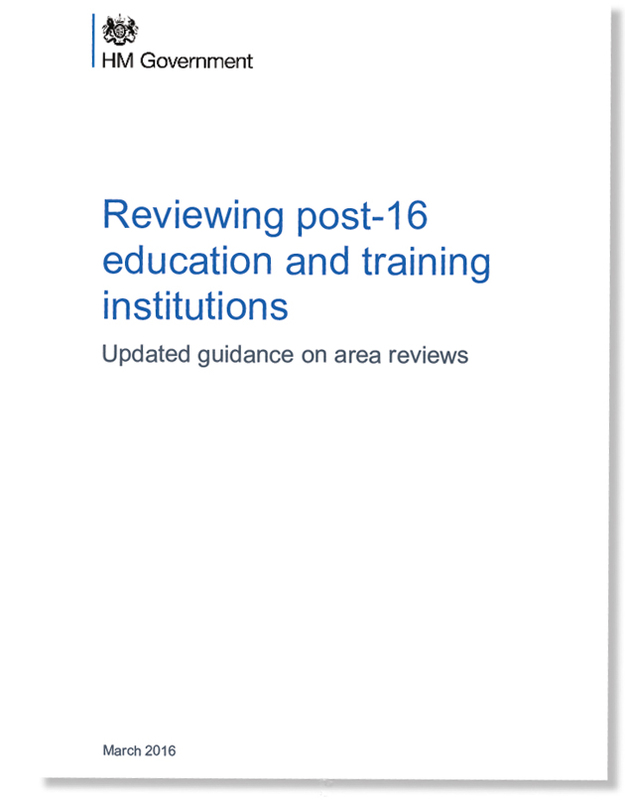 The guidance also features an expanded section on the area review process, as well as a number of lessons learned from the first wave of reviews. These include the importance of “early engagement between colleges on options” and “early communication between the colleges and the LEPs [local enterprise partnerships] and LAs [local authorities]”. 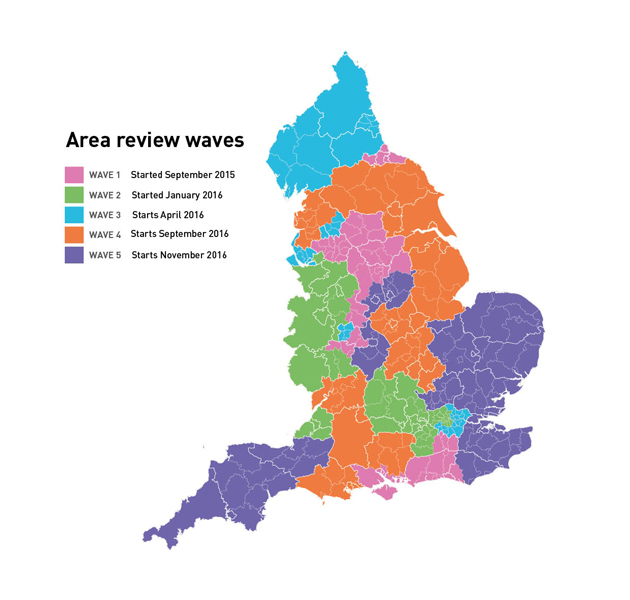 The role of LEPs and LAs in the area reviews in setting out the “economic vision” and “skills base” needed is now stated in the updated guidance. The “critical role” of banks, as colleges’ creditors, is acknowledged, with the guidance stating that the government has “initiated national level discussions” with the banks. The guidance also reveals that the government is “proposing to introduce an insolvency regime for FE and sixth form colleges,” which would come into effect once the area review process has finished. A new section on implementation “highlights some key issues for colleges in the implementation phase”, which it describes as challenging. 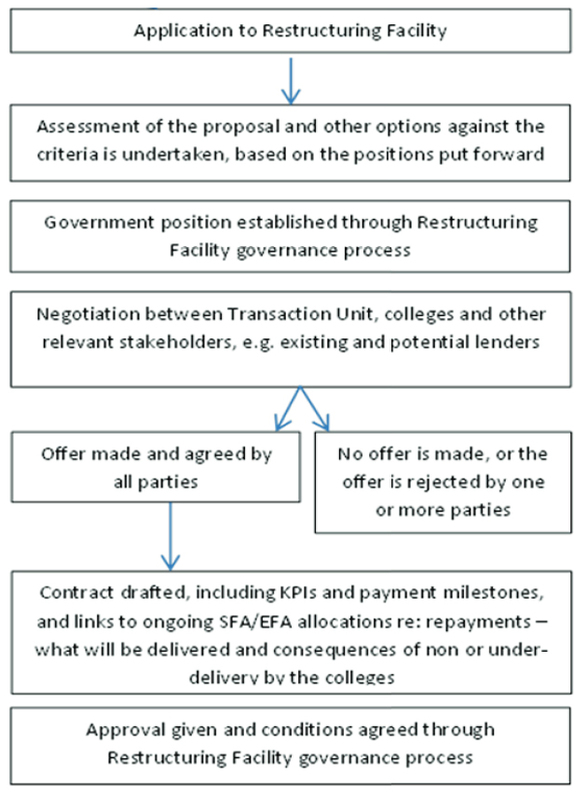 These include the ‘in principle’ decision, appointing the right people to lead the colleges and the stages of implementation ahead of merging. “Fuller implementation guidance” should be published in the spring. Other changes in the new guidance include an extension in the area review timescales, from three to four months in the initial guidance to four to six months, and the removal of the option for “proactive proposals” for area reviews. The guidance also covers the option for sixth form colleges to convert to academies, full guidance for which was published by the Department for Education in February. The Sixth Form Colleges Association declined to comment on the updated guidance.